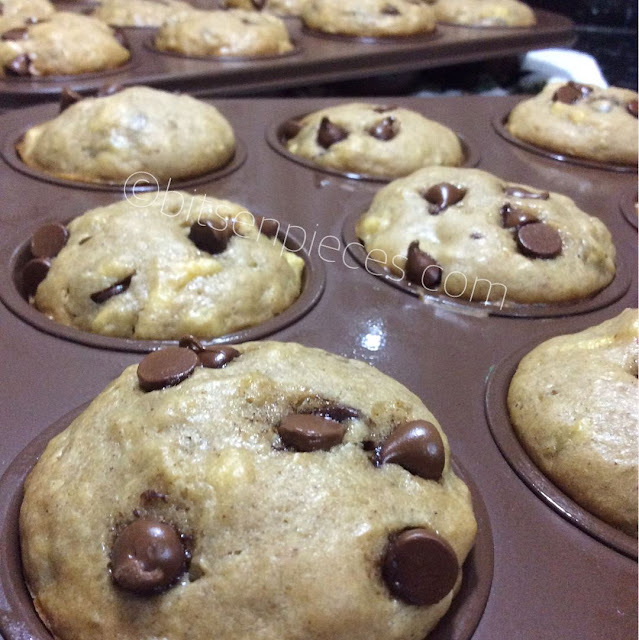 bits-en-pieces: Simple, Easy Baked Banana Chocolate Chip Muffins! The feeling when you smell something nice from the kitchen is when the aroma of what is in the oven baking. Last night, I was in the mood to bake some goodies also because I have all the ingredients available to make a couple of dozens of muffins. This is a very typical flavor of muffins which everybody loves, banana chocolate chip muffins! I know everybody can whip up a batter of banana bread as long as you have ripe bananas in the kitchen you are good to go. For my recipe, it is simple, easy and will just need you less than an hour to prepare, mix and bake. You can have my recipe below. Ripe bananas, mashed. I like to have chunks of bananas especially when it's overripe, it has this natural sweetener. 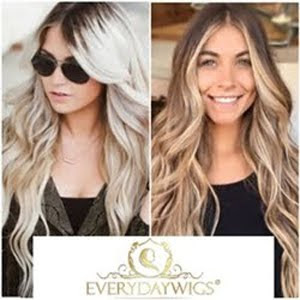 Combine the mixed dry to wet ingredients gradually. Mix thoroughly and noticing some lumps from the chunks of the banana. 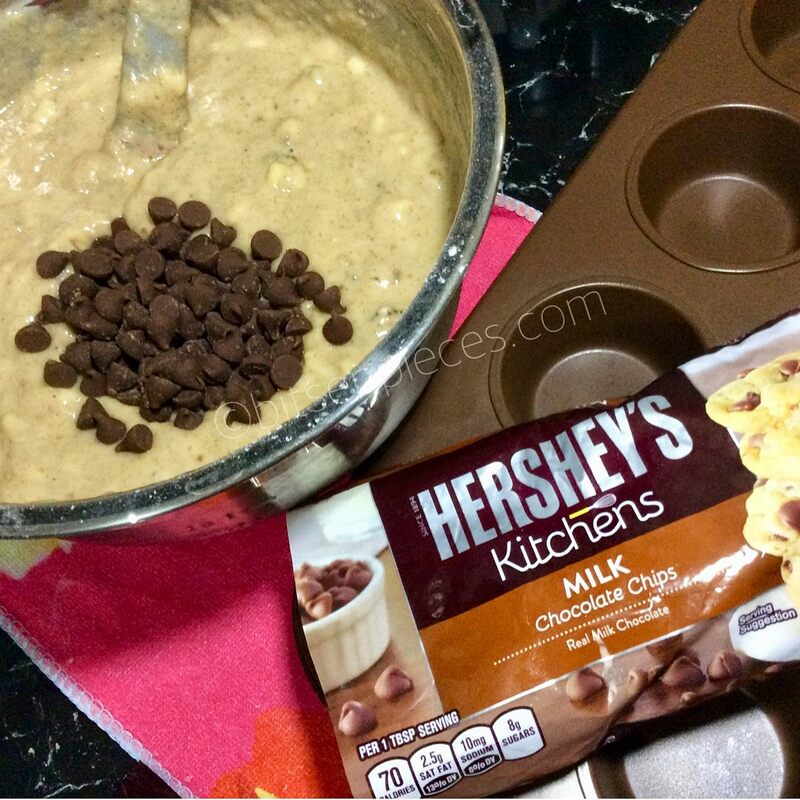 Add some chocolate chips to the mixture. Scoop the batter mixture using an ice cream scooper it is easy and creates less mess. Mixture can fill-up a couple dozen muffins. Topped with choco chip. Used the Hershey's Kitchen Milk Chocolate Chips. Pop in the oven for about 25 minutes. Cool down before removing muffins from the tray.